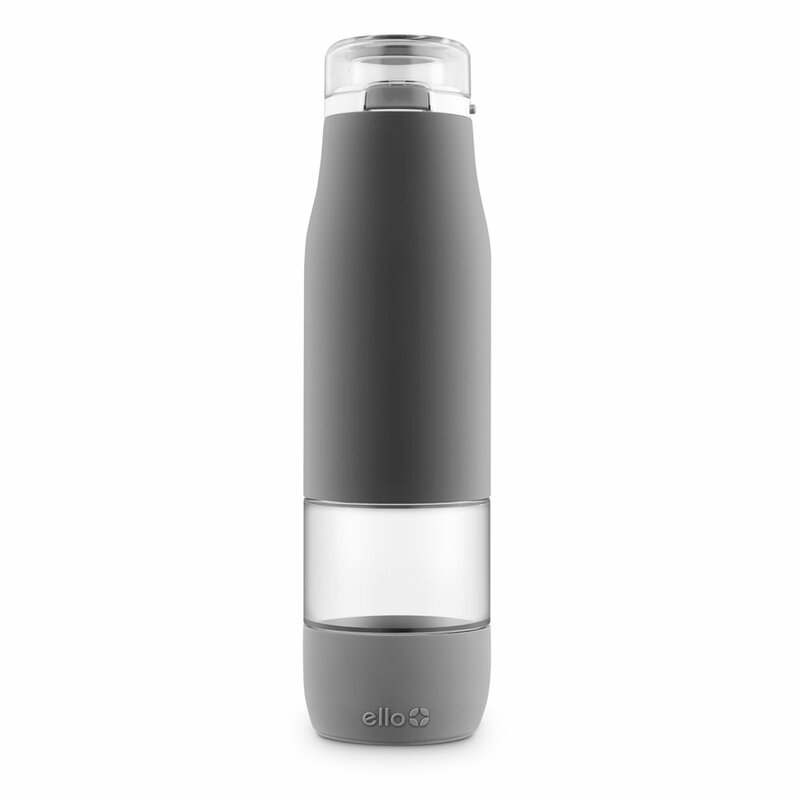 The Ello Zo Stainless Steel Water Bottle is a vacuum-insulated, double walled bottle designed to keep drinks cold for up to 24 hours. The removable base allows for easy cleaning while the leak-proof threaded lid with integrated silicone carry loop allows for on-the-go use. Wash before use. 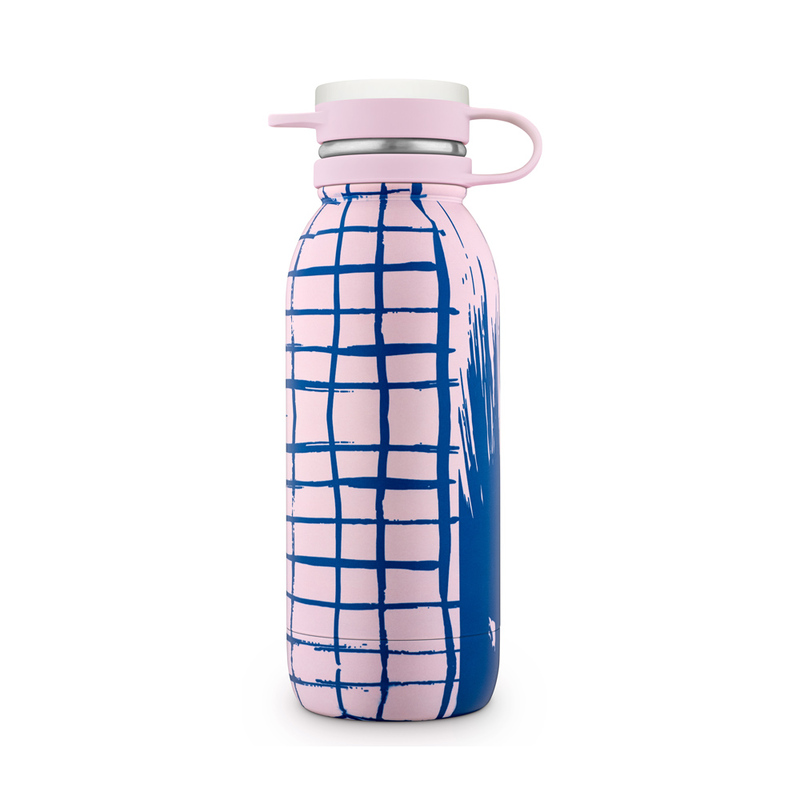 Hand wash bottle recommended, lid is dishwasher safe. Store with lid removed.